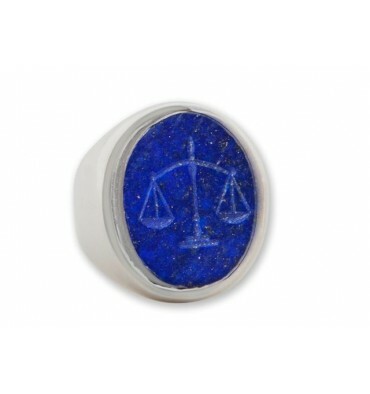 Engraved ring featuring the scales of justice engraved intaglio to lovely Lapis Lazuli and mounted to plain shoulders. 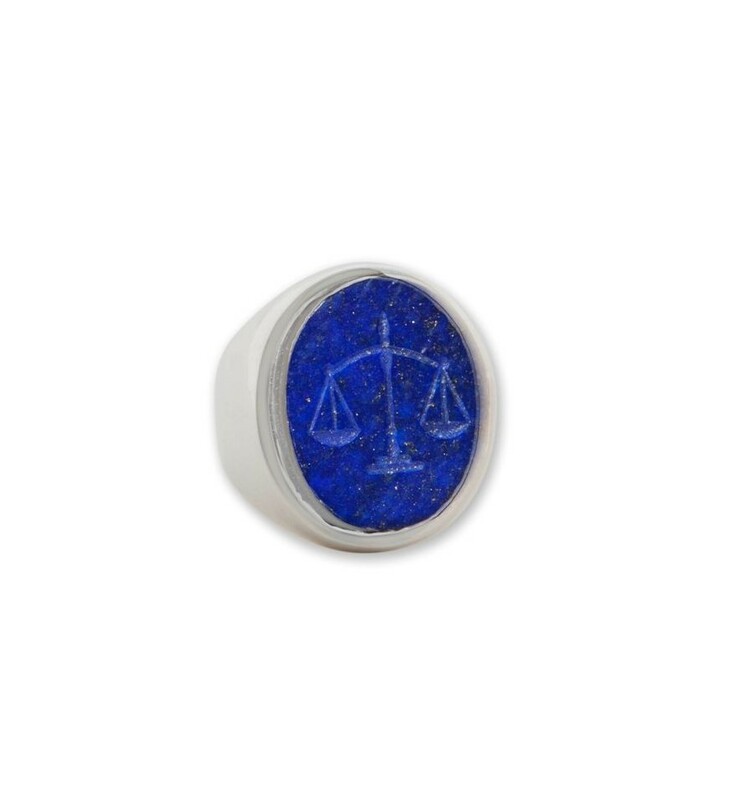 This engraved ring features the Lawyer's scales of justice which have been skillfully engraved intaglio to an oval of genuine Lapis. 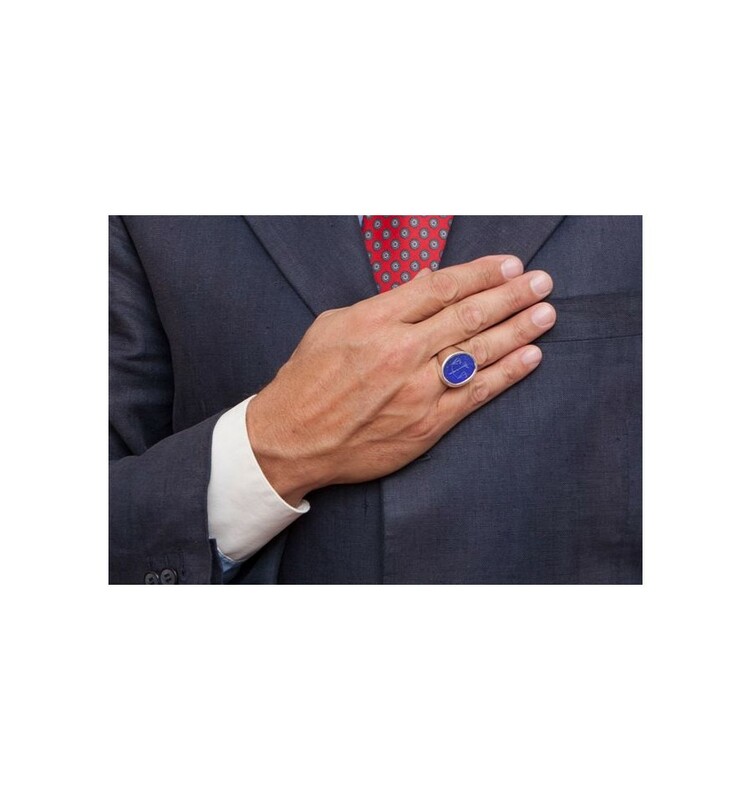 This is held in a solid sterling silver chassis with plain shoulder. 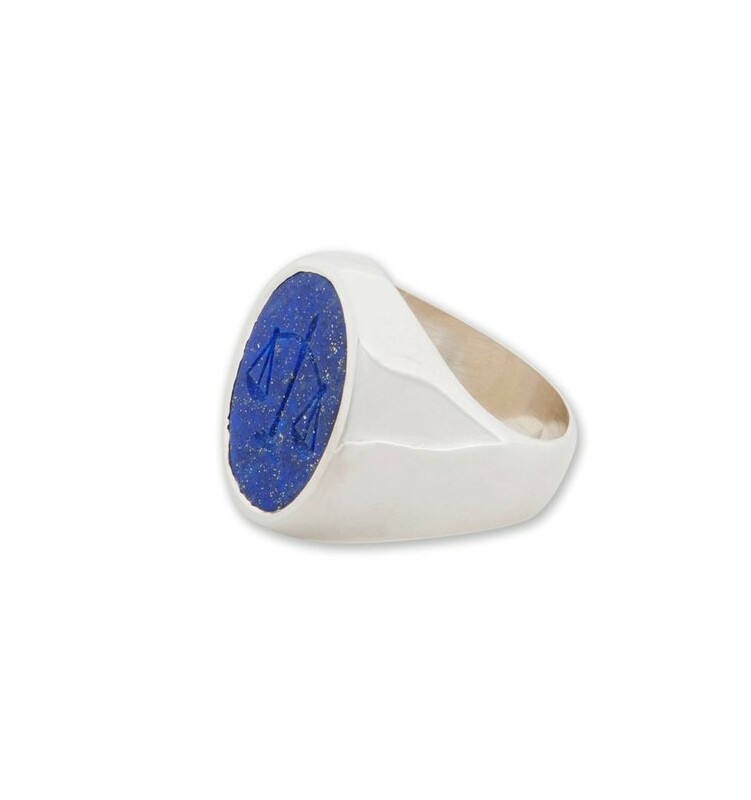 This fine hand-crafted small sized stone engraved ring will be a stylish and treasured addition to your wardrobe. 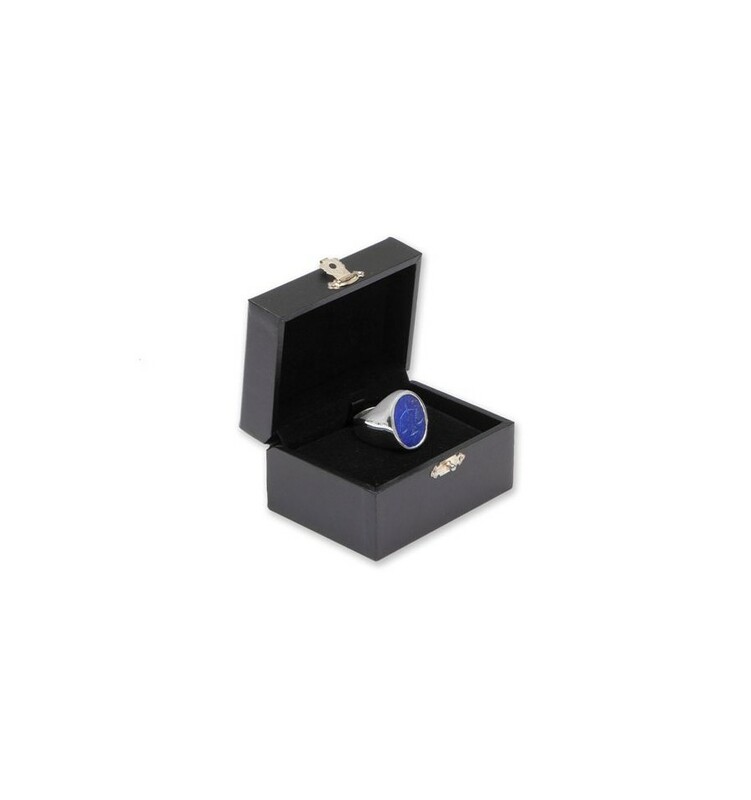 Its small size makes it suitable for both men and women to wear. 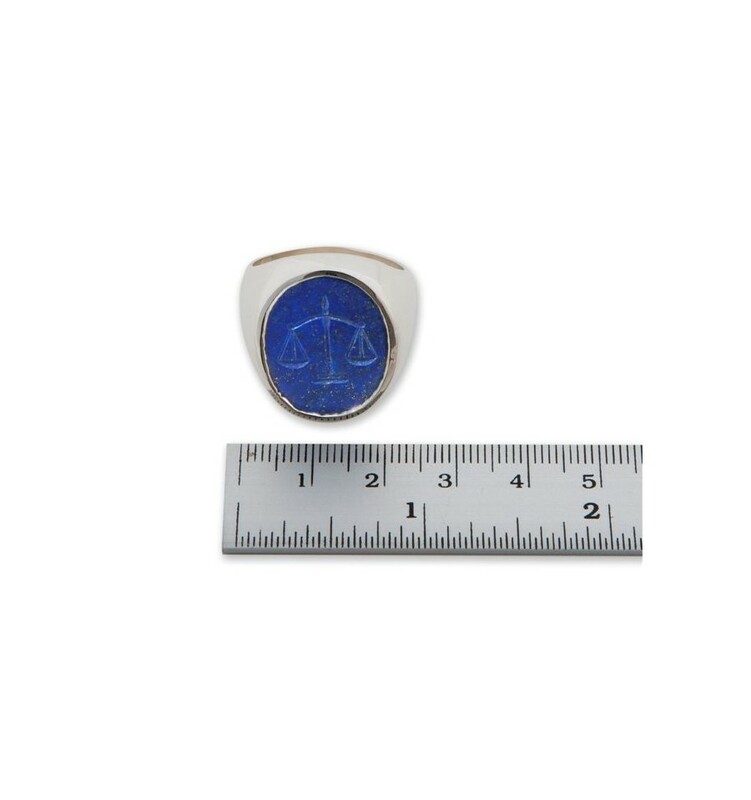 That's why our high quality engraved rings are so affordable.